The .30 M1 Carbine is based off the .32 Win case. This round is made for the M1 Carbine a rifle in service for the United States Military from 1942-1973. It was used in World War II, the Korean War, and was eventually replaced by the M-16 Chambered in 5.56 NATO during the Vietnam War. The is .30 M1 Carbine has been described as a rimless .30 caliber cartridge, and is effective up to 350-400 yards and possibly more. The .30 M1 Carbine is still fairly popular as people have snagged up old military service rifles or rifle replicas. It's a great round for having fun and blowing up watermelon, some people even use it to hunt deer. 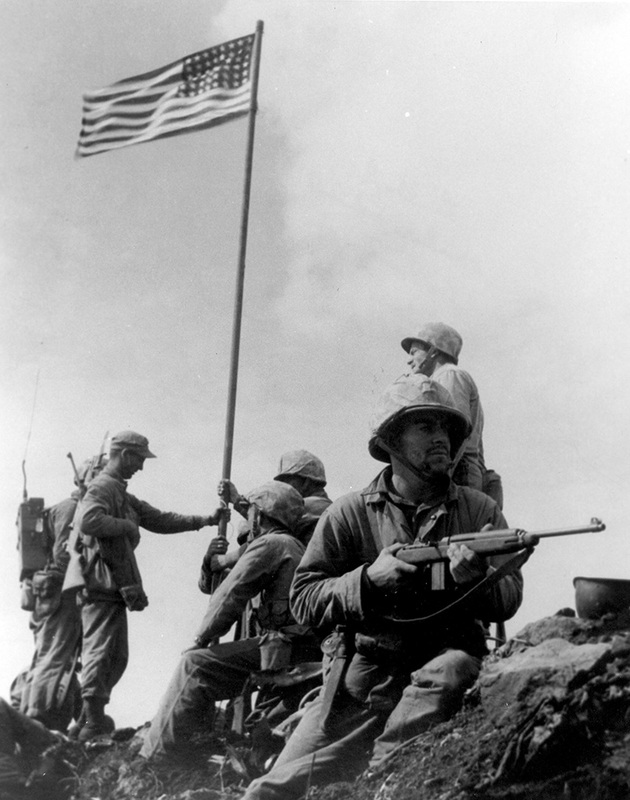 This is the weapon being held in the famous photo "First Iwo Jima Flag Raising" you probably know what I'm talking about if not click here to see the photo. If you are looking for a classic American cartridge then the .30 M1 Carbine is about as authentic as you can get. It served our country for 30 years during some of the fiercest fighting we've ever encountered. *Casing image above is an artist rendering and not a real photo of .30 M1 Carbine Ballistics cartridge. While we have went to great lengths to make sure that it's as accurate as possible this rendering should not be used to generate specs for casings.